When Kim's mom Kris contacted me about taking a senior portrait for her daughter Kim, I was so excited. 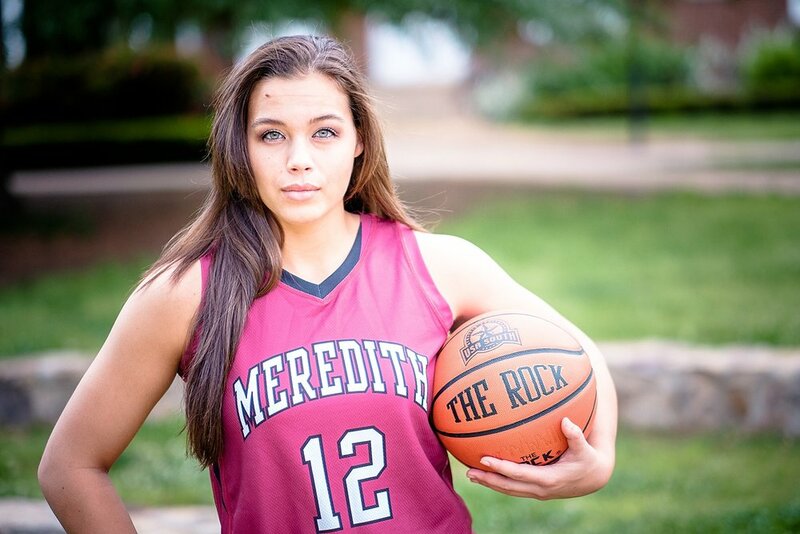 Kim is an extraordinary young woman who was about to graduate from college at Meredith in Raleigh, NC. She is currently at UNC-Chapel Hill getting a pharmacy degree and has a bright future in front of her. Kim is lovely, athletic, and smart...a winning combination! She also had some great ideas to make her college senior portrait a success! Kim brought lots of cute outfits, jerseys and shoes to capture lots of different looks at various locations on campus. I love her numerous interests as seen in her choices in shoes! She is a person who can look great dressed in heels and be ready to play basketball a minute later. 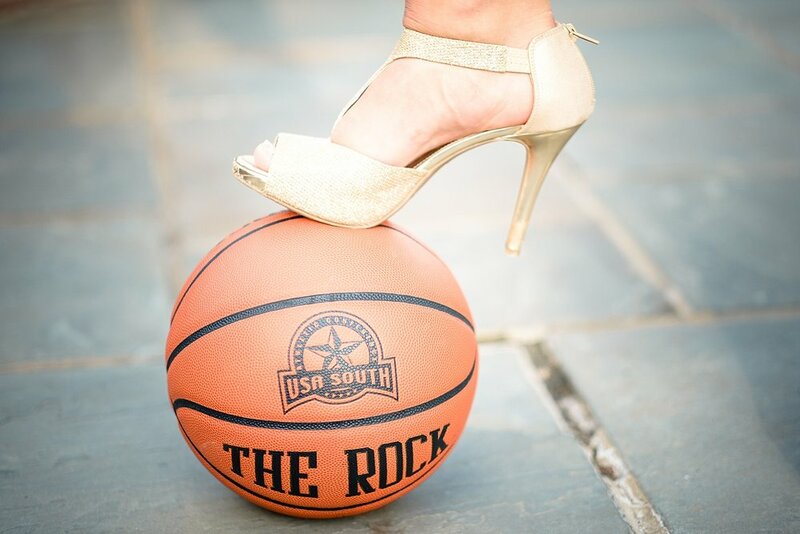 I thought her idea to take a picture of a high heel shoe on top of a basketball was brilliant as well. Kim's mom and sister joined us as we walked around campus laughing about how to get a great picture of Kim blowing glitter into the air. After a few different tries, I think we were able to achieve the look we were going for with the flying glitter and Kim's happy and fun expressions. I look forward to seeing what Kim accomplishes in her life. I know she can do anything she puts her mind to. 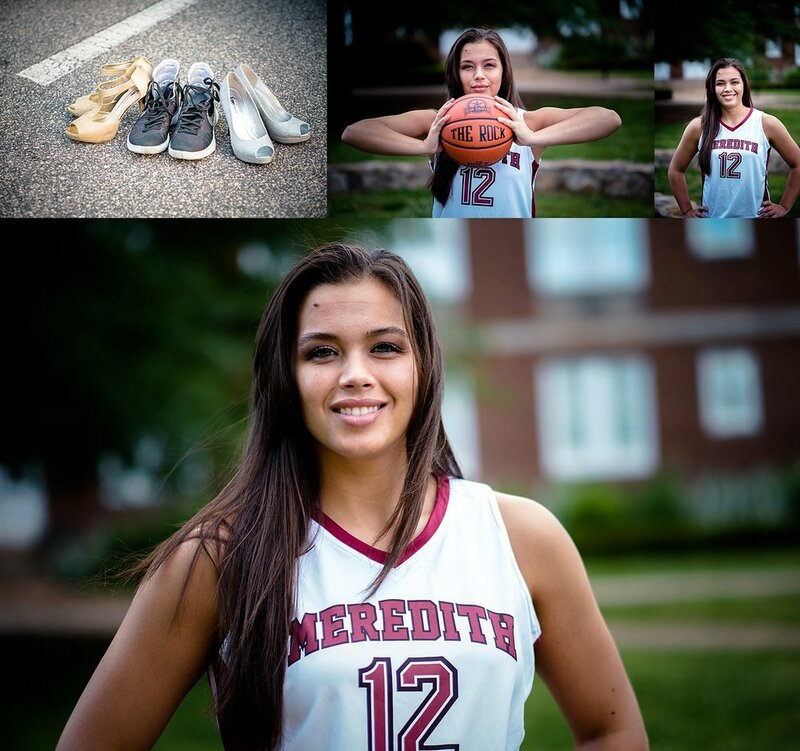 Here are some of my favorites from our day at Meredith College!